A little while ago, I had the pleasure of chatting with Terry Smith, the designer behind the San Jose Sharks logo, both the original and the current redesign. After placing his logo at #25 in the BTLNHL archive, I was pleased he even took my call. In fact, he was very friendly and open to discussion. Probably because he’s been a sports designer for over 20 years, designing logos for multitudes of different teams and sports, and compared to that body of work, well, I’m a hack at a keyboard. He gave tons of interesting insight into not only the Sharks’ logo, but the world of the NHL and sports merchandising in general in the early ’90s. Hope you enjoy! HbD: So, I’ve ranked you at #25, and you still agree to talk to me. You’re a very gracious person! Terry Smith: We’ve done enough of this stuff over the years, it’s one of those things, people have their favourites. There’s tradition and lots of other influences, so I always kind of laugh about these things. Logos are very personal, especially around teams, so it’s always an interesting job. The nice thing about what you do as an artist is that there are no rules, no right and wrong. The sky could be orange and the grass could be blue. It’s all subjective to what people care about and what people like. What you’re trying to do is get something that at least most of the people like. You’ll never get something that everybody likes, it’s impossible. HbD: You’ve designed the original Sharks logo and the recent redesign. What can you tell me about that process? TS: For the original, just the mark logo itself was done by me. Somebody else had done the font, the uniforms and all the other stuff. The only thing that my group can take credit for is the original logo. HbD: Was there any sort of collaboration with the rest of the designers/agencies? TS: Not at the time. When the Sharks first started, there were different groups doing different things. We had been commissioned to work on the mark while they were trying to figure out names and other stuff. We did a bunch of different concepts, including one that was more of a caricature – some people might call it cartoony. There was another one that was winning most of their marketing research, but they decided to go into another direction. HbD: I’ve said in my blog that there are some logos that border on being cartoony (of which I accused the Sharks logo of being), which I feel is fine for minor leagues, but for the NHL, I feel there needs to be a level of sophistication. What are your thoughts? HbD: And I have to ask…teal? Did you originally choose the teal colour? TS: The original colour scheme that I had chosen for the Sharks was blood red. I wanted red, black, white and pewter which I thought would make more sense. HbD: Then it was the Sharks organization who decided to go for a teal colour scheme? TS: Yes. There was a marketing group at the time that was trying to bring hockey to the Bay area, doing lots of studies and sports marketing research. A lot of the colours were being driven by this. I would make my suggestions and speak my mind, but at the end of the day, the organization is paying the money and they made the decision. At that time, teal was not a colour that any uniform manufacturers made. There was no teal on any professional sports team and a lot of the time, colours of teams were controlled by the material colours of the manufacturers, and there were only a handful of manufacturers. If you were a Nike team, you had to pick colours that Nike had. So, that choice of teal really opened things up and that’s why you’re seeing the variety of colour choice that you see today in college and the pros. And about a year and a half after the logo came out, the Sharks became the #2 selling professional sports logo, behind only the Chicago Bulls. People were starting to recognize that if you can create unique colour choices, you can increase your sales. Also, the original teal colour was a much lighter teal. Over the years, the colour has shifted darker, and the reason for that is that teal is almost non-photo blue, so it doesn’t show up on TV very well. After the few years, Nike took over the uniform design and shifted the colour to a dark blue. When we re-designed the logo, we shifted it back to a teal, darker than the original. HbD: Where did the decision to have the stick-biting come from? TS: Let me say this first: the league hated the first logo. They despised it. If you go back and look at the early write-ups, they use words like “childish”, “boorish”, “amateurish”. They were saying “how could you guys do this? This is awful.” It was very counter-culture when it came to hockey. At the time, NHL Properties did not exist. Each team did their own thing with no property divisions that controlled their licensing. It existed in the NBA, NFL and MLB, but not in the NHL at that point. So teams were free to do what they wanted to do. Teams would consult with the league, but they didn’t have to follow any protocol. 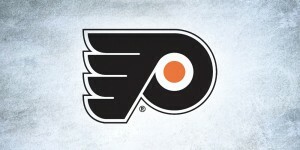 What happened, then, the team got most of the revenue from their logo, and this logo did a tremendous amount of sales. It was designed primarily to sell merchandise. That’s what you had to do in the NHL at the time as there were no TV contracts. That’s part of the reason they came to me because that’s what I do. I produce designs that sell merchandise. And so this was my priority when designing the Sharks logo. Given the market and location of the Sharks, people who saw that mark they would have no clue who that team was, what the played, and what it was about. The other thing is that I had to create attitude. I was concerned the NHL wouldn’t like it because I was breaking a piece of their equipment, but it displayed the aggressive nature of the sport and brought a lot of attitude, which was the market for people who would come out to see hockey games. It was meant to let people know that there was a new game in town, or in the whole western half of the country, and we had to compete with football. HbD: I’ve made a few statements on my blog about the difficulty of designing animals into sports logos. What are your thoughts? TS: A lot of teams will choose esoteric names, like Lightning, Flame, Wild. For me, those are the more difficult logos to do because it’s more difficult to represent, so I think it makes it more difficult for the fan base to find something to rally around. I liked the idea of doing something that nobody had done before, a shark. The hard part about a shark is that there’s no stripes, no patterns. You’ve basically got what I called a “cigar with teeth”. You just have a simple shape with a fin and some teeth, so the difficult thing was trying to represent a shark and develop something that had personality. And that’s something that I like to do with my sports designs – to give the logo an aggressive personality. Generally, you’re trying to come up with something that male athletes – big, strong, macho guys – want to wear, so that becomes my focus. The other thing I want to convey is motion. I don’t like logos that are static. I need something that’s aggressive and conveys motion and power. So, for the redesign, the shark is a lot thicker. Also, the eye is given some colour because in the original, it gets lost. I loved the angle in your blog about the eye looking zombie-ish. I never thought of that, and in today’s market, heck, that’s a win. HbD: What brought about the redesign of the logo? TS: The original mark had its advantages, but it was a little too busy, too many lines. It was almost more of an illustration than a logo. I wasn’t completely happy with the execution of it, so I was glad the Sharks organization came back to me to gave me the opportunity to redesign the fonts and everything around it, as so much of it was originally put together in pieces by different people. Also, the mark was very flat and we wanted to give it a little more dimension. We rotated the shark a little bit, added another colour, cleaned up the lines and gave it more dimension. Just clean it up, simplify and give it more of a personality. There were a lot of people within the organization who wanted to change it quite a bit, which I pushed back on. The last thing you want to do is alienate your fans, the people who have adopted your logo. It was important to me to maintain the integrity of the original mark. As designers, we’d notice all the changes, but there’s probably some fans who didn’t notice a difference at all, as the basic silhouette is very much the same. HbD: Since I made a somewhat big deal of it on my post about the Sharks logo, I have to ask about the splash of teal added to the shark. TS: I could have made the shark all black, but then the highlights would have been relied on to give it dimension. 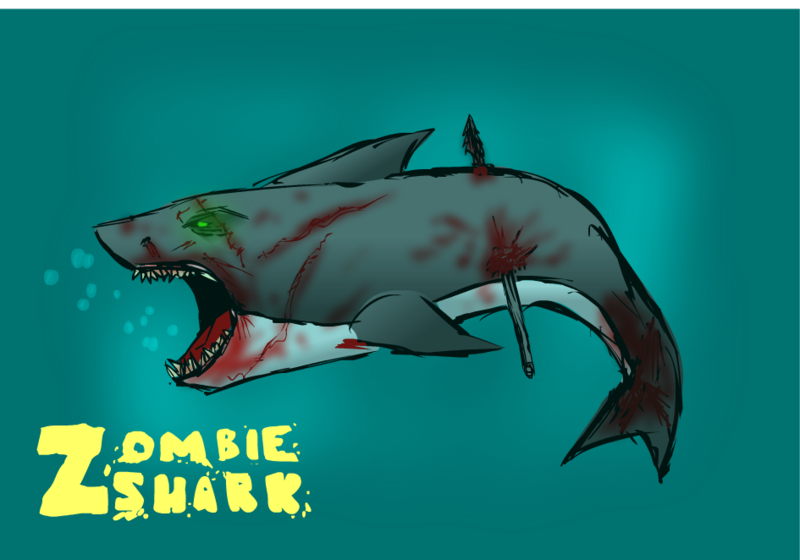 Or, I could have added a grey colour, which would have created a more realistic looking shark. However, with most sports logos, you want to work in the team colours. For example, if the Cincinnati Bengals were not orange, but blue, than that Bengal would be blue and black. 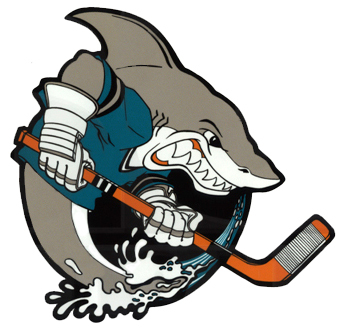 The patch of teal wasn’t about illustrating the shark as much as about representing the team. HbD: How do you feel about the logo now, after some time has passed? TS: Logo designs are not easy. People are always going to find things they don’t like about it. I always tell people, if I hit 50%, I feel like we’ve done a good job. If you can get half the people to like what you do, you’ve been pretty successful. But, we’ve had a really good run with the Sharks logo. Again, it was #2 in sales behind the Chicago Bulls after a year. It changed how the NHL did business, about how they were going to do their logos and present their teams. It changed how manufacturers do business, forcing them to open up their palette of materials. And it changed how women bought merchandise. I thought the black shirts would’ve sold the best, but the Sharks sold a ton of teal shirts because at the time, teal was fashionable. There were women all over the Bay area who were buying Sharks’ shirts because a) they liked the design and b) they liked the colours. Now, the NHL creates jerseys specifically for women, changing the lines and contours of them. What was interesting about that logo was all of the effects it created, some of which are still being felt today. It was very different and definitely had an impact. HbD: Did you get much of a reaction from fans (outside of just sales, of course) regarding the redesign? TS: You know, I love doing sports design and team logos, and I wouldn’t change it for the world, but you do get beat up a lot. You get hate mail from fans. On this new redesign, I got one of the meanest, nastiest emails I’ve ever gotten. Somebody took the time to write almost a page and a half, blasting me saying I didn’t know anything about design, about colours, about this and that. It gets personal when you start messing with their teams. That’s why I laugh when I see that we ranked 25th on your site because it’s totally subjective. I could be 25th on your site and 2nd on somebody else’s, and then last on somebody else’s. You learn not to get too involved in that, but this hate-email was pretty shocking. It’s then that you realize the impact that these sports logos have on people. But, I take a tremendous amount of pride in the amount of logos that we have out there. Since I’m in the Bay area and we’ve done most of the teams here, I very quietly get to see my work everywhere. Everyday in the paper, bumper stickers on cars, all these teams that we’ve done stuff for. I love that nobody knows who I am, so I can remain private, but still see my stuff everywhere. HbD: Is there anything you would like to change with the Sharks logo at this point? As an artist, every time I look at it, I see, “Oh, I should’ve done this, I should’ve done that”. No piece is ever finished, and you hear people critiquing it when you’re out in public. But you learn to accept that and get a kick out of it. At the end of that day, I may want to call up the Sharks and tell them I can change some things, but they won’t spend that much money for those types of changes all the time. HbD: Okay, last question, in the spirit of the HbD, what do you think is the best team logo in the NHL? 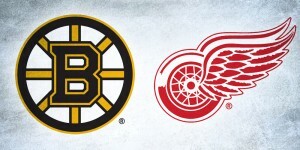 From a nostalgia standpoint, you have to look at the Red Wings. From a design standpoint, probably the Blue Jackets, while it’s not a strong sports logo, it’s an interesting design. The Predators logo is one I wish they would have come to me on. I’d love to get a crack at the Blackhawks, but that would never happen because that logo is never going to change. I know Pittsburgh went back to their old logo, but I actually really like the logo before that. It was a really strong, simple design. 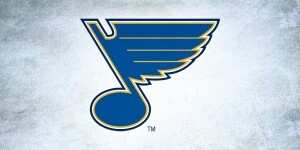 Again, from a sports logo perspective, it’s not going to work because it’s not strong or aggressive enough. When I look at all the logos, most of them have nothing on them that says hockey, which I think is a weakness because it doesn’t identify your sport. Most of them are not very aggressive. The Panthers are at least trying something even though it needs to be simplified. Vancouver is trying to do something representative of the culture and the area, but to me, it doesn’t work. Even though it sounds egotistical, but I think I like what we did the most. It’s playful, it’s aggressive and it feels most like a sports logo. So, I’m probably a bad person to be asking this question to. There you have it! The first, of what I hope will be many more, interviews with a designer behind the logos we see all the time. Much thanks to Terry for taking the time to chat and giving some great insight into the behind-the-scenes process with the Sharks logo. You can check out his website at terrysmithcreations.com. great interview! I had forgotten about how teal was different when it came out and I also preferred that other penguins’ logo. Interesting read, hopefully you can land a few more interviews with some of the people in charge of recent redesigns! Fascinating interview, and great blog, thanks for writing it. Terry Smith is an extremely talented designer, but I believe he was incorrect when he said “There was no teal on any professional sports team…”; the Charlotte Hornets were founded about 3 years before the Sharks. I think the early-to-mid 90s Teal Wave went something like this: Charlotte Hornets (1988) > San Jose Sharks (1991) > Florida Marlins (1993) > Seattle Mariners (1994) > Jacksonville Jaguars (1995) > Vancouver Grizzlies (1995) > Detroit Pistons (1996) > Arizona Diamondbacks (1998). Tampa Bay Devil Rays & Carolina Panthers were also kind of tealish, and I’m sure I’m forgetting other examples. That was a dark time for sports apparel. Excellent point. Forgot about the Hornets! I loved the interview, too. It definitely gives us a view at the inspiration and some of the reasoning. I wish the Sharks would get rid of that yellow/orange and get rid of some of the changes added to the re-design, though. I was always a fan of the original. But I guess the original could have been tightened up some. Just not to the degree that it was changed. I don’t have a problem with having some teams wear teal. I always felt that the Sharks and the Marlins made it work. It was appropriate for their team name and location and it was their original colors. I always viewed the original Diamondbacks as purple & green, not teal. I don’t consider the Carolina Panthers teal at all. Just a sort of electric blue. Also, not all of the teams can be or should be red, white and blue. The color palette needs to be opened some so that teams can have their own identity without being confused with other teams. There should be room for some orange, teal and purple.